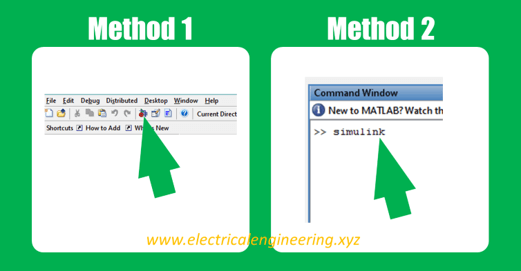 Also, learn the Basics of MATLAB for Electrical Engineers. 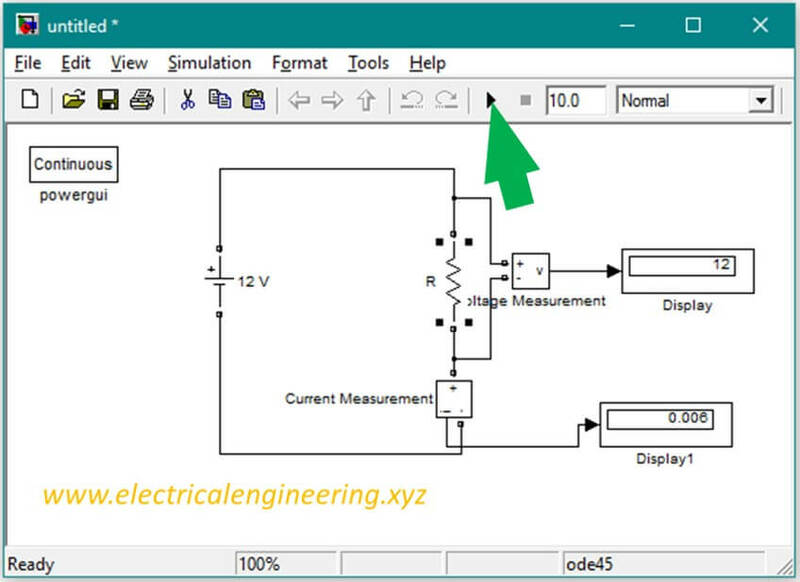 Press the SIMULINK on the home tab. You can also write Simulink in the command window. Alternatively, you can use the shortcut Ctrl + N The Simulink model is the mains screen where you drag items from the library. 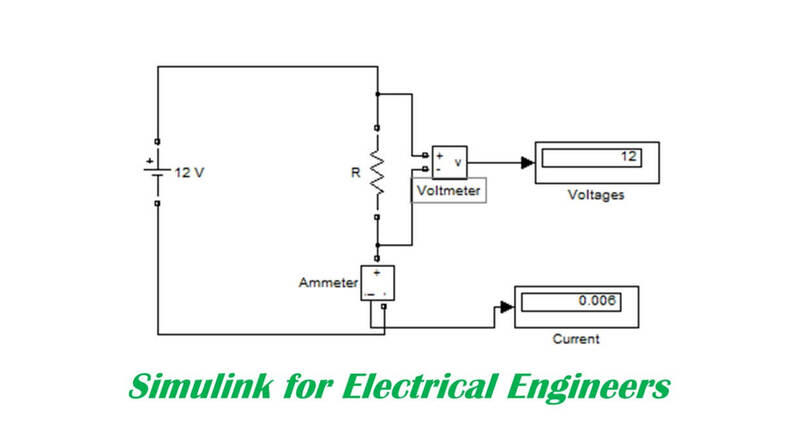 Let’s make a circuit in Simulink. 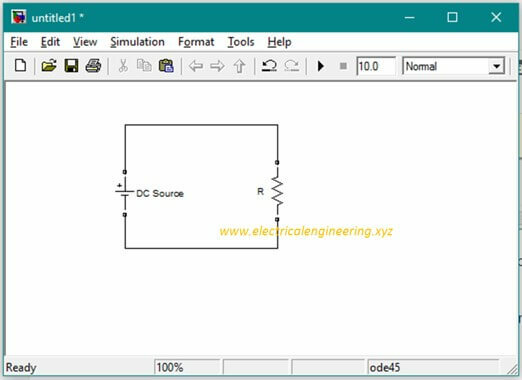 Drag the DC Voltage source to the Simulink model file. 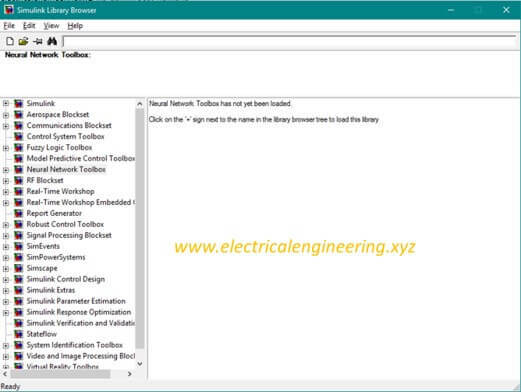 Click on SimPowerSystems > Elements and drag an RLC Series branch in the Simulink model. 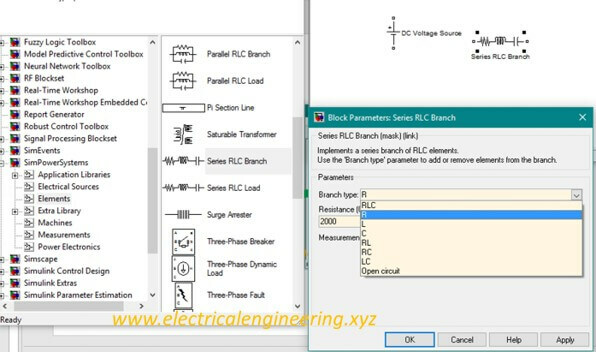 Double click the branch and set the branch type to R.
Press the CTRL + R button to rotate and properly align the resistor in a circuit. Hold the left mouse button and connect the top terminal of the resistor to the +ve terminal of the source. Similarly, connect the lower terminal of the resistor to the -ve terminal of the source. Click the DC Source and set its amplitude to 12 V.
Now, we have a series circuit of the form. 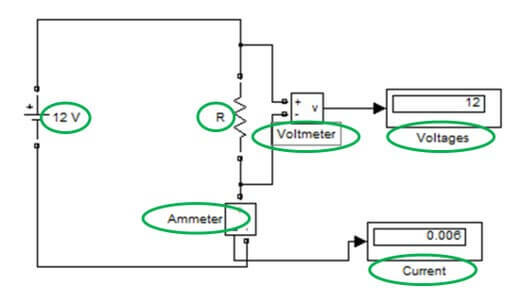 Drag the Voltage Measurement block to the model and connect it in parallel to the resistor. 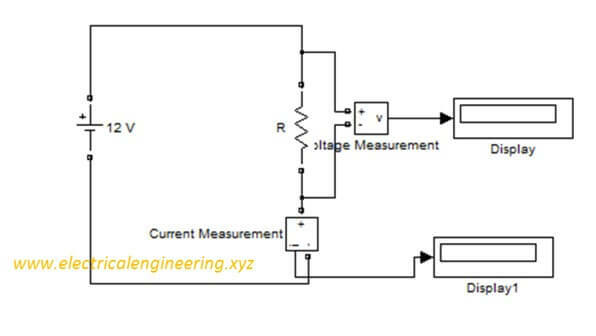 Drag the Current Measurement block to the model, rotate it once and connect it in series to the resistor. 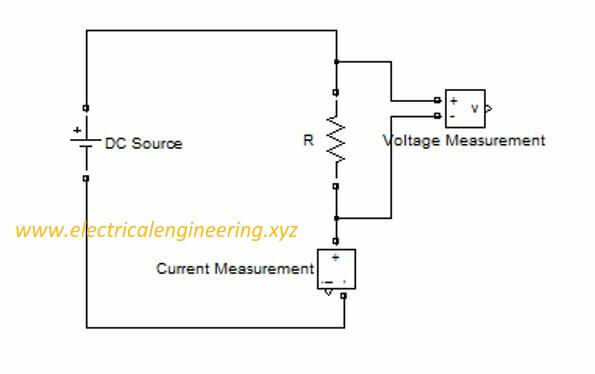 So far we have successfully obtained the voltage and current measurement. However, we can’t read the measured values. Let’s connect display block for reading the measured quantities. Connect two display buttons at the output of voltage measurement and current measurement. Voltage always remains same in series, the 2000 ohms resistor dissipates all 12 V input and this voltage appears across the display block. The current block measures the current in the series circuit. which is 0.006 Amps. Good Engineering practice involves proper labeling of circuit elements. Simple double click the labels to rename them.